- a thin layer does the job well ! 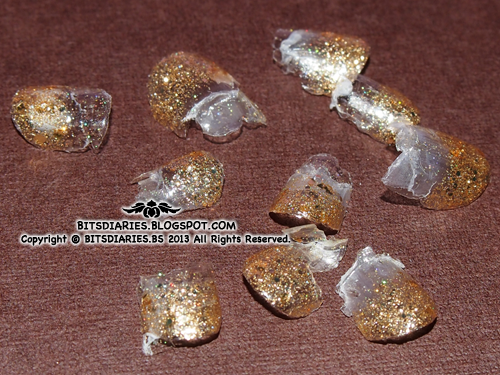 P/S: I painted my nails on Friday night(31st May 2013) and peeled it off on Sunday afternoon(2nd June 2013). This is how my nails looked after applying the Peel-Off Base Coat. 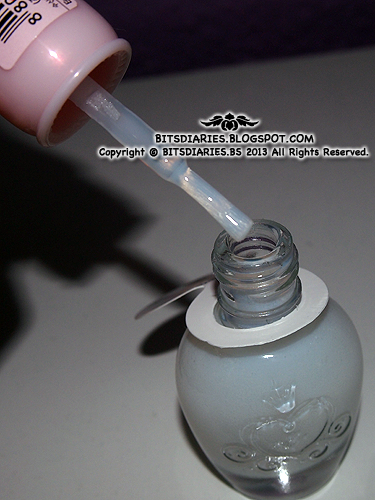 It looks just like a normal base coat and the formula is not streaky at all. 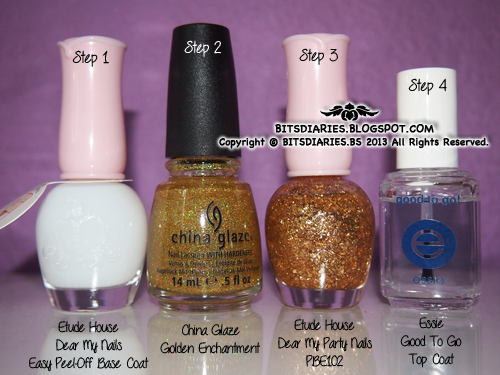 After the base coat dried up, I continued to paint my nails with China Glaze Golden Enchantment followed by Etude House Dear My Party Nails (PBE102) and finished off with Essie Good To Go Top Coat. Anyway, I picked at the edge of the polish till it lifted up and then peeled it off. It's really easy to remove! 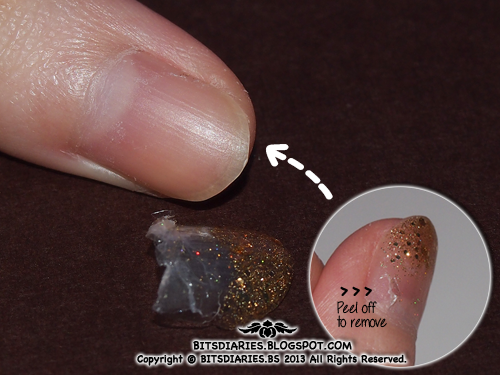 As you can notice, it does leave some residue on the nail after peeling it off but it can be easily cleaned off using nail polish remover. Thanks for this review. :) just painted on my first coat of this stuff, waiting for it to dry now... then I can paint my nails the glitteriest of the glittery polishes I own lol one that I was scared to use until this base coat.